BISMARCK – The North Dakota Department of Agriculture (NDDA) and North Dakota State University (NDSU) N.D. Agricultural Experiment Station are working together to provide relief to livestock producers affected by drought. The agencies have set up a location near the NDSU campus in Fargo to accept hay donations, which will then be offered to eligible producers in a hay lottery. 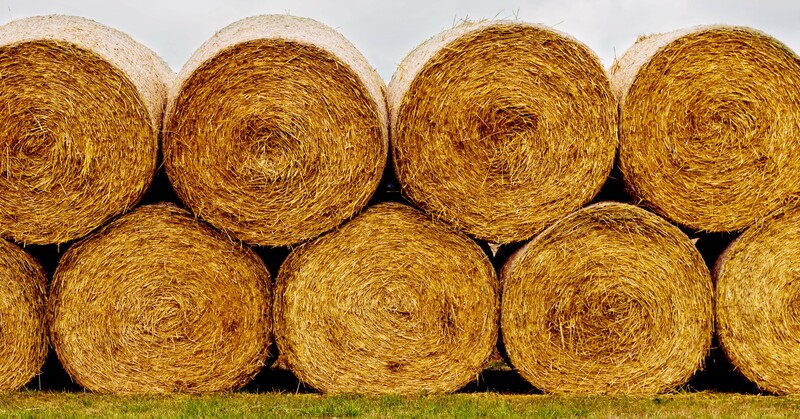 “We have been contacted by a Michigan organization called Ag Community Relief which, along with other groups, is organizing a large-scale hay donation convoy to North Dakota in mid-August for the hay lottery,” Agriculture Commissioner Doug Goehring said. “We are so grateful to our friends in Michigan for everything they are doing for our producers. Any other individuals or organizations willing to donate hay or trucking for the hay lottery should call NDDA’s Drought Hotline at 701-425-8454 to get information about delivery to the NDSU site. “We are thankful to NDSU for providing the space and staffing to make this possible,” Goehring said. “NDSU is trying to help our state’s ranchers and farmers in many ways, so the North Dakota Agricultural Experiment Station is pleased to help with this hay donation effort,” said Greg Lardy, NDSU Animal Sciences department head. Livestock producers interested in applying for the hay lottery should go to NDDA’s website to fill out and submit an application. Eligible producers must be from a D2, D3 or D4 county and own at least 25 animal unit equivalents of dairy cattle, beef cattle or sheep. A description of animal unit equivalents may be found directly on the application. The latest drought monitor depicting the drought levels of specific counties may be found at http://droughtmonitor.unl.edu/. The application deadline is August 31, 2017. MEDIA: For more information, please contact Michelle Mielke at 701-328-2233 or mmielke@nd.gov; or Becky Koch at 701-799-3998 or becky.koch@ndsu.edu.